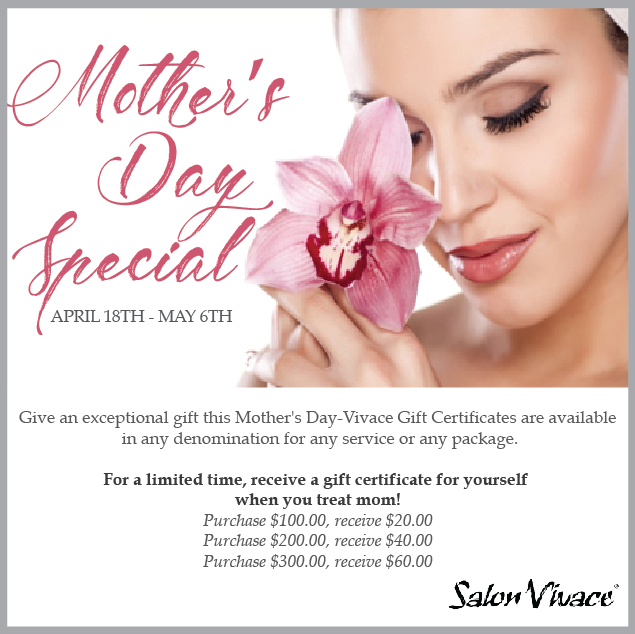 Salon Vivace’s Mother’s Day gift certificate promotion has been extended to May 6th! The gift cards can be purchased online or in-stores. Good for all locations excluding Torrance.